It's hard to believe that only 80 years ago few Americans owned or even knew what a TV set was. In the 21st century of course things are very different, and as technology keeps pushing forward TV screen sizes are also growing! 65-inch TVs are now the leading size of modern TV sold, and they make watching movies to comedy shows a real pleasure. What is the best 65-inch 4K TV Under 1000? Can You Get a Good 65-inch TV For Less Than $1000? 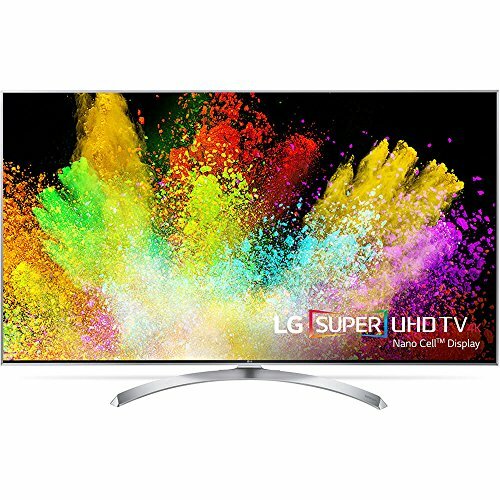 If you looking for the best 65-inch screen TV for less than 1000 dollars we can help. In this handy buying guide are the honest facts, stats, and features you need to know about before making your choice. It's been put together after hours of researching the brands and genuine customer reviews of each model, so read on, and enjoy the TV buying experience. Got more of a budget? 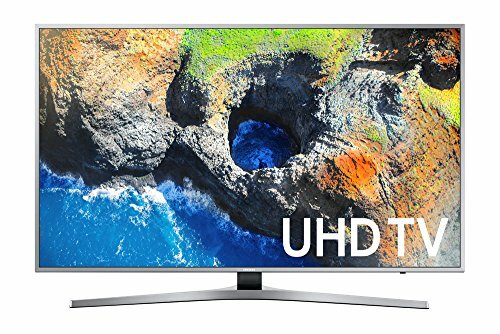 There are some amazing TVs for less than 1500 dollars! As well as top of the line 65inch 4K TVs for less than $2000. Excellent range of inputs and outputs. 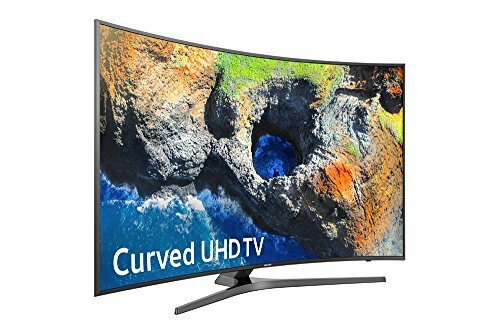 Flat screens may dominate the 65inch TV market but there are still some amazing curved models around, like this Samsung 4K UHD, Smart LED TV. Its stunning 360 design looks great from all viewing angles, and the auto-depth enhancer feature really draws the viewer into the heart of the on-screen action. + Excellent range of inputs and outputs. 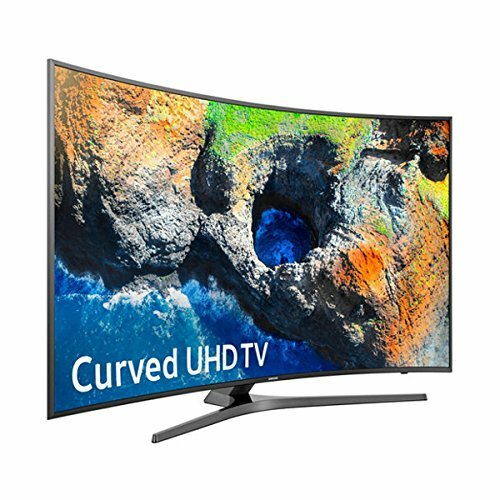 Why We Liked It - We think this 65-inch 4K TV for under $1000 is a real investment, perfect for fans of curved screens. Samsung TVs really are magnificent. 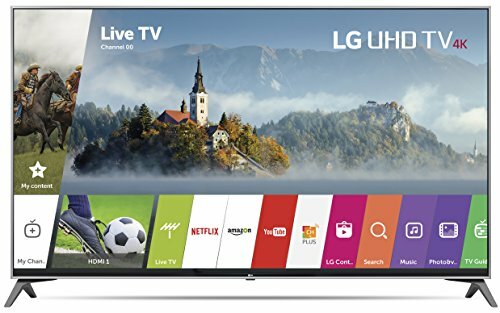 If fantastic image quality that doesn't break the bank is top of your checklist this LG 65-inch Smart TV is a great buy. Boasting over a billion colors the deep black tones are not sacrificed for the colors either, and it certainly hasn't disappointed current owners, according to online reviews. Extra sound options can easily be added, though the internal system seems to be more than adequate if you prefer not to. This well priced large screen TV boasts a stylish brushed aluminum bezel, and looks equally good on the stand or wall mounted. It's easy to set up and use, and as it has High Dynamic Range HDR Premium with Active Crystal Color it should be good for several years to come. 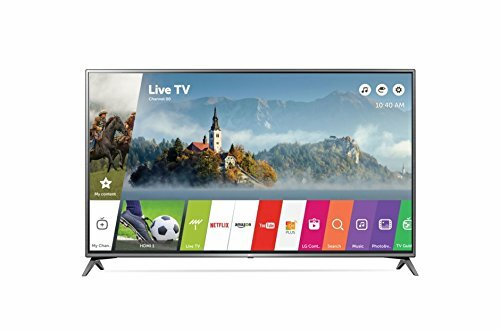 Why We Liked It - This is a great all rounder 65-inch TV, but with a motion handling rate of 240 and a genuine refresh rate of 120 we must also recommend it to serious gamers, or action movie/sports fans. Want a smaller screen? See our review on the top 55inch TVs below 1000 dollars. If this LG 65-inch TV was on a game show it would answer pretty much every question with 'yes'. Ultra HD picture quality? Yes. Active High Dynamic Range HDR? Yes. HDR effect? Yes. IPS technology, true color accuracy, wider color gamut? Of course. 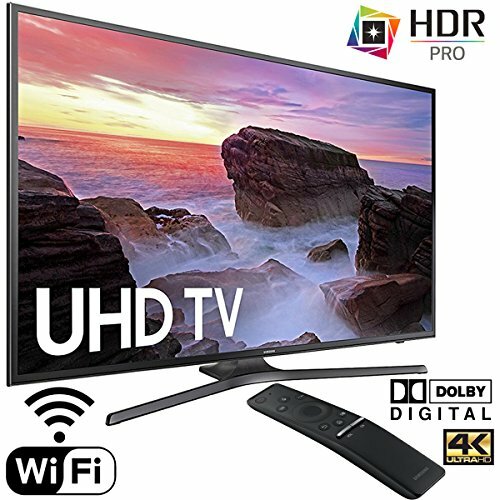 Local dimming, 4K upscaler and SMART TV WebOS 3.5? For sure. In fact the only thing this amazing HDR TV doesn't come with is a Magic Remote. There is a WiFi option, though some people prefer the direct net connection when using apps, and with 4 HDMI ports, 2 USB outlets, 1 RF (in), an Ethernet and Optical input and a shared composite - component in connectivity is well catered for. Why We Liked It - We especially recommend this for buyers who want a ready to go TV, as this comes with a 2- channel audio speaker system and ultra surround hi-fi audio. Got a bigger budget than 1000 dollars? You might find what you're looking for in our review of the best 65" 4K Televisions below 1500 dollars. 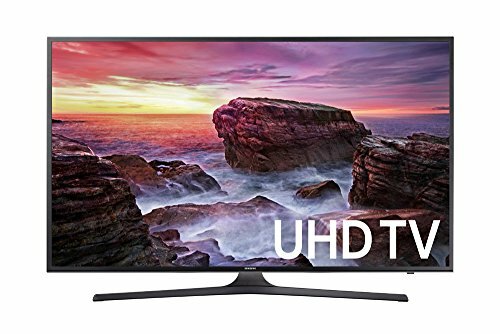 This bargain-priced 65-inch screen Samsung beauty would look amazing in any room in the house, as either a first or second TV. The consistently excellent picture quality is thanks to both 4x the pixels leading to a much higher resolution rate and the 4K Color Drive feature which can cope with a larger amount of colors than a standard TV can. Samsung HDR Pro, which is the same as HDR 10 makes 4K content a dream to watch, and as the set up is so easy you could be doing that in no time at all! It's easy to play around with the various picture settings to find your sweet spot, whether that be Warm 1 or 2, Movie etc. Why We Liked It - We know gamers will love this, if only for the excellent 120Hz refresh rate. Weighing in at just under 50 pounds this is one of the lighter 65-inch 4K large screen Smart TVs to buy on Amazon, but it definitely isn't lacking in any of the features you'd expect. Take the picture quality for example. 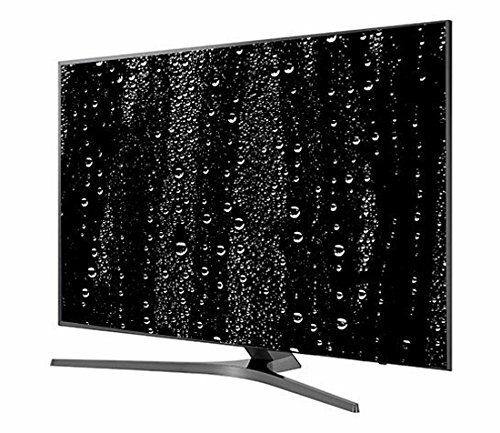 It's created or boosted by direct-lit LED, 4K Ultra HD clarity mixed with the color detail 4K HDR brings, and also has a true color accuracy feature. No wonder people claim it has the most lifelike picture they ever saw. 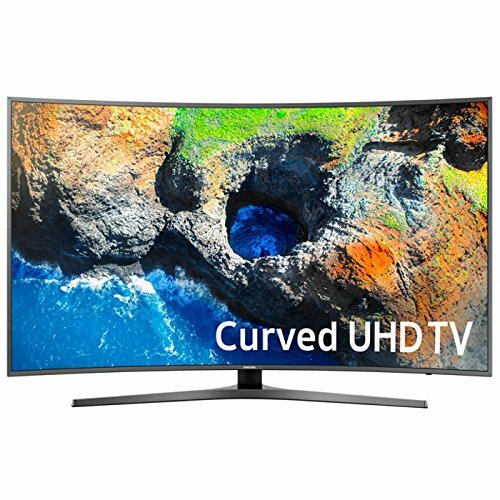 This Smart 4K TV is offered both with and without the WebOS 3.5 operating system option, and where possible we advise going for the best sec your budget will allow. Be aware that non WebOS models come with a standard remote. + Good amount of in and outputs, including 2 USB and 3 HDMI ports, 1 RF 1 optical, 1 Ethernet, and 1 composite. Why We Liked It - One add-on feature we really recommend for this HDR TV is Sling TV, a live service that lets you choose and save your favorite content. This is a top end of budget 65-inch TV but a model that will last for several years so worth pushing the budget for. This budget TV comes with all the high-end specs you'd expect from Samsung, including 4K Color Drive Pro which takes the image quality to whole new levels. The Samsung 7000 appeals to a wide audience; with experienced large screen Smart TV buyers appreciating the step-up from previous models, while first-timers can enjoy the easy set up and the fancy features offered by One Remote - which include voice navigation. [Remember to buy in some AA batteries]. If you prefer to wall mount your 65-inch budget TV this can be done with a very slim bracket, and the cords neatly out of sight. Why We Liked It - We really like that all three HDMI ports support HDR. 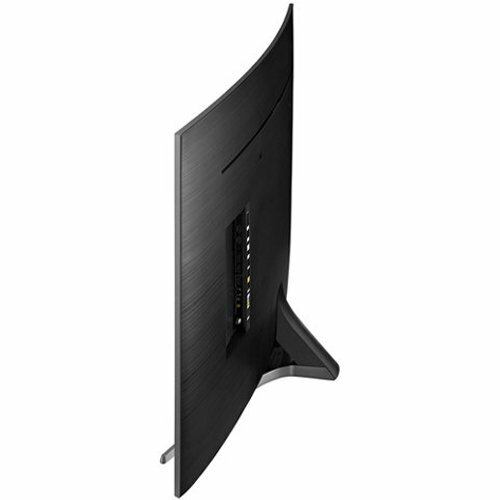 Samsung have pushed out the boat with this magnificent curved screen65-inch TV, which has Smart functionality to boot. The picture quality is excellent, with the increased number of pixels on screen bumping the resolution to 4x the usual clarity - producing the most realistic colors you may have ever seen. Popular with fans of all genres, from sports and shows to watching movies and cartoons, the Motion Handling Rate 120 feature keeps the content smooth regardless of speed. Avoid manual programming and connecting endless devices with the One Remote - included in the box, then just relax and enjoy the immersive feeling that only a large screen curved TV can give you. Why We Liked It - We recommend this 65-inch model f a great integral sound system is really important to you, as the built-in speakers work very well. Samsung may be a big name in the 65-inch screen Smart LED TV market but LG have plenty to offer customers too. This bang up to date model comes equipped with artificial intelligence - meet ThinQ, the hub of all the Smart functionality devices you have or want to connect to it. Ultimately it is possible to use voice control to manage all these devices through your LG AI TV! The Magic Remote is bound to be a big hit too, making it a piece of cake to operate all aspects of the TV (and the house if you choose). Imagine being able to dim the lights whenever you like using just your voice? Having an impressive built-in sound system is a great plus - no need to connect speakers, soundbars or headphones. + 4 HDMI and 2 USB ports are provided, along with 1 RF, 1 Ethernet, 1 composite in and 1 optical. Why We Liked It - We especially like the bonus of Channel Plus, a pre-installed app that offers over 130 channels of live Internet TV for no charge. Thanks to the much higher resolution level this 4K/UHD 65-inch TV lets you get closer to the screen than ever, without squinting and risking a headache. The same feature means a bigger TV also works fine in a smaller room, the perfect moment to scale up, right? Plus there's good news for anyone who never seems to grab the best seats in the house - the IPS panel delivers a great picture even when viewed from an angle. This is easy to set up and use, and delivers consistently high-quality performance. It does only have one USB port, but that's not a deal breaker for most buyers. Why We Liked It - This is a well built 65-inch TVwhich is an especially good buy for a smaller room. Samsung describe the picture quality of this 65inch model as being 'beyond HD', and plenty of happy buyers agree; rating it as clear, vibrant, and basically outstanding. It may be lacking a Smart remote and voice interaction but considering the other features, and within a great price range, that's not a deal breaker. Remember to enable the HDR option [you can find it under the general menu] for the best performance possible. You can make the most of the 4KHDR content from sites like Amazon Prime, Netflix and Vudu, or stream from your favorite sources easily via WiFi. Why We Liked It - We really like the apps designed for the TV which make streaming video and content, checking the weather and playing video games so easy. 50 inch+ TV s are the fastest growing section of the sales market, and 60 - 65-inch TVs to buy on Amazon in particular are the most popular choice amongst all buyers. Many large stores are reducing their stock of smaller TVs to meet demand from customers who appreciate the reasonable price points and the very attractive extras like 4K which most have. Some experts say that as more people watch TV or play video games on a tablet or phone when alone that the TV has become more about a family gathering - a group experience. This is part of the reason for the big screen boom, alongside the development of technology that makes big screen viewing better quality than it was before. So there's never been a better time to go shopping for a 65-inch screen TV, but which one is best suited to your lifestyle and interests? Although they share many common features there are still some differences between different brands and models, so knowing what you consider essential in a TV and what you can live without could make the difference between overspending on features you never use, or missing out on the things you will really enjoy. Here are a few things to bear in mind before you buy. Here we are only looking at 65-inch TVs with a maximum sticker price of $1000, and there are some which come in under that. Although price is important it isn't everything, and a cheaper TV could be the perfect match for you to get more bang for your buck. This has got to be essential for all buyers, after all without it there's not going to be much fun to be had from your TV, right? Where possible go for a HDR/4K model, as this will be the key feature of HDR content in the future, and extend the life of your TV considerably. Different large screen models boast features like auto-depth enhancer or active crystal color, which are nice bonuses, but a high number of pixels is generally the main thing to look for. Most Smart TVs have an upgraded remote which makes managing the settings and apps etc much easier, but do check, as some models include a standard remote. In that case it is easy to buy a Smart remote online if you choose to. Good sound is also important on a TV, especially on a big screen model which may be serving a huge room. Some 65-inch TVs have excellent built-in sound systems, others are adequate and a few need a boost, so always check reviews as people often comment on this topic. This is always a talking point, and it is really down to your personal taste. Curved screens are not always great for rooms where the viewers are too far to the side of it, so if possible check it out in person before buying. Unless you are never planning to use your TV for gaming, or to connect anything else to it it's best to go for a model with at least a few HDMI ports and 1 USB port. If you plan to hook the TV up to your own sound system check that is possible. All the TVs mentioned here are Energy Star rated (even the 4K TVs! ), making them much more efficient than TVs without this; an important bonus in a world where energy conservation is becoming so important. If you come across a TV with 120Hz refresh rate it's a keeper, although 60Hz is the most common, and it is generally adequate. Gamers or fans of fast-moving action shows or sports will definitely appreciate a higher figure tough. 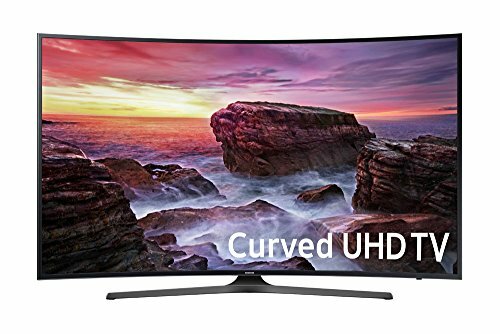 Having read reviews spent hours on research, watched lots of videos and compared the features on several great 65-inch TVs we have no doubt that the best 65-inch TV for under $1000 is Samsung Electronics UN65MU7500 Curved 65-Inch 4K Ultra HD Smart LED TV (2017 Model), which we featured here in the number one spot. It is a shining example of TV perfection, from the stunning design to an image quality so lifelike you want to step into the screen. This is an investment TV, something that caters to all the family, and will give you years of viewing pleasure. The innovative Smart Hub gives each viewer their own On TV page logins, making it easy for everyone to have their own personal recommendations and settings; while the generous number of inputs and outputs and a dedicated game player mode make it a hit for console fans. Yes, for sure, and in fact it's never been a better time to do just that. So long as you look around at the various models and brands on offer, and choose one with the features you care about, then you can definitely get a great TV for less than 1K. 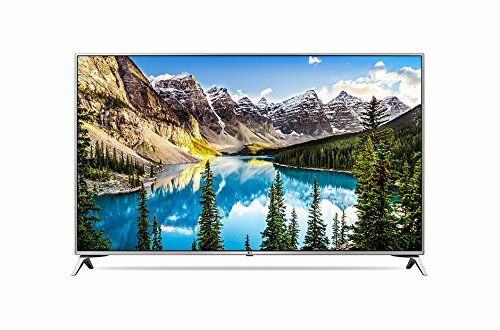 We spend a lot of time watching TV, or using it for other things like streaming videos and online content, gaming or browsing the net, so it makes sense to buy the best possible 65-inch model for your lifestyle. 65-inch screen TVs are becoming the most popular around, and that makes it even easier than ever to pick up a good bargain in the stores. 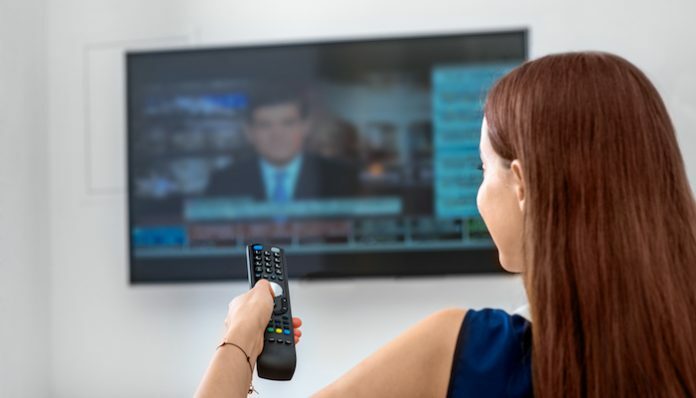 Whether you are a loyal fan of a particular brand, or more interested in what each model can offer you, if you want to check out the best 65-inch TVs around this buying guide should tell you everything you need to know. Happy shopping, and happy viewing. It makes sense to buy a 4K 65-inch screen TV, especially as it's easy to stream lots of great 4K content via a service like Netflix or Amazon. However, to do this smoothly make sure your internet connection is at least 15 Mbps. Smart TVs have lots of extra functions that many people have no clue exist! If you want to get fit without leaving your smart home theater check out yours and see if there's a fitness and training streaming app in the built-in menu. Chances are there is, and you could be doing yoga or aerobics in no time - for free!